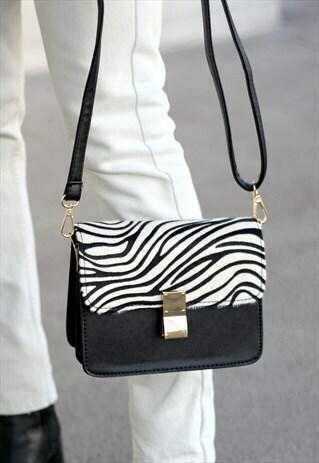 This bag comes in black and features faux fur zebra print, and gold hardware. Length: 18cm. Height: 12cm. Deep: 7cm.